This Privacy Shield Policy (“Policy”) describes how Stratus Technologies, Inc., and its subsidiaries and affiliates in the United States (”US”) (“Company,” “we,” or “us”) collect, use, and disclose certain personally identifiable information that we receive in the US from the European Union and Switzerland (” Personal Data”) and general website privacy policies. We are a trans-national business headquartered in the United States. Our management structure and business processes cross borders. Some of our technological systems and databases are shared between our US, European, Swiss, and other international offices. This means that our customer and employee data is transferred across borders. For purposes of enforcing compliance with the Privacy Shield, Stratus Technologies, Inc. is subject to the investigatory and enforcement authority of the US Federal Trade Commission. For more information about the Privacy Shield, see the US Department of Commerce’s Privacy Shield and to review Stratus Technologies, Inc.’s representation on the Privacy Shield list, see the US Department of Commerce’s Privacy Shield self-certification please visit: https://www.privacyshield.gov. We collect personal information through a variety of means, both on and off line, such as when visiting our websites, product and service inquiries, participation in events, conferences, training, seminars, surveys and promotional campaigns, and in connection with sales, service and other transactions. This Policy does not apply to information collected through off-line resources, communications and other offline interactions between us. Information we may collect online is primarily business-related information and can include business contact information, the products and services you purchase, your company’s areas of interest such as industry, product needs and possibly company financial and credit information. contact information, in connection with maintaining its customer relationships and providing products and services to customers. Personal Data of its suppliers’ representatives, such as contact information, financial statements and reputational data. comply with and enforce applicable legal requirements, relevant industry standards and the company’s policies. Stratus Technologies, Inc. will only process Personal Data in ways that are compatible with the purpose that Stratus Technologies, Inc. collected it for, or for purposes the individual later authorizes. Before we use your Personal Data for a purpose that is materially different than the purpose we collected it for or that you later authorized, we will provide you with the opportunity to opt out. Stratus Technologies, Inc. maintains reasonable procedures to help ensure that Personal Data is reliable for its intended use, accurate, complete, and current. other Personal Data found in content that Non-affiliated Individuals provide. In the event Sensitive Data is collected we will obtain your opt-in consent where the Privacy Shield requires, including if we disclose your sensitive Personal Data to third parties, or before we use your sensitive Personal Data for a different purpose than we collected it for or than you later authorized. Third-Party Agents or Service Providers. We may transfer Personal Data to our third-party agents or service providers who perform functions on our behalf to assist us with the support of our customers or assist us with our employee related activities. Where required by the Privacy Shield, we enter into written agreements with those third-party agents and service providers requiring them to provide the same level of protection the Privacy Shield requires and limiting their use of the data to the specified services provided on our behalf. We take reasonable and appropriate steps to ensure that third-party agents and service providers process Personal Data in accordance with our Privacy Shield obligations and to stop and remediate any unauthorized processing. Under certain circumstances, we may remain liable for the acts of our third-party agents or service providers who perform services on our behalf for their handling of Personal Data that we transfer to them. Third-Party Data Controllers. In some cases, we may transfer Personal Data to unaffiliated third-party data controllers. These third parties do not act as agents or service providers and are not performing functions on our behalf. We may transfer your Personal Data to third-party data controllers for the purpose of Service Support and internal Human Resources. We will only provide your Personal Data to third-party data controllers where you have not opted-out of such disclosures, or in the case of sensitive Personal Data, where you have opted-in if the Privacy Shield requires consent. We enter into written contracts with any unaffiliated third-party data controllers requiring them to provide the same level of protection for Personal Data the Privacy Shield requires. We also limit their use of your Personal Data so that it is consistent with any consent you have provided and with the notices you have received. Stratus Technologies, Inc. maintains reasonable and appropriate security measures to protect Personal Data from loss, misuse, unauthorized access, disclosure, alteration, or destruction in accordance with the Privacy Shield. Such measures may include, network monitoring, anti-virus protection, internet firewalls, intrusion detection and passwords. It is your responsibility to protect and keep your password confidential. When required by laws and with respect to certain personal information such as credit card information, all transmissions between our clients and our server are encrypted using the industry standard SSL protocol. 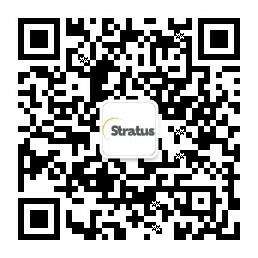 Forward unwanted communication to webmaster@stratus.com stating that you do not want to receive any further such communications. You may have the right to access the Personal Data that we hold about you and to request that we correct, amend, or delete it if it is inaccurate or processed in violation of the Privacy Shield. These access rights may not apply in some cases, including where providing access is unreasonably burdensome or expensive under the circumstances or where it would violate the rights of someone other than the individual requesting access. If you would like to request access to, correction, amendment, or deletion of your Personal Data, you can submit a written request to the contact information provided below in the Questions and Complaints section. We may request specific information from you to confirm your identity. In some circumstances we may charge a reasonable fee for access to your information. Through our websites you have the ability to participate in interactive discussions, post comments, or other content to a bulletin board or exchange, or engage in other networking activities. We do not control the content that users post to these forums or social networks. Therefore, you should review any additional terms and conditions that may govern your use of these forums or networks, including terms related to use, the sharing of any of your personal information you may choose to provide and receiving communications from them. You can direct any questions or complaints about the use or disclosure of your EU or Swiss Personal Data to us at STRATUS TECHNOLOGIES Legal Department at legal@stratus.com , by fax at 978-461-3690 or by mail at Stratus Technologies, Inc. 5 Mill & Main, Suite 500, Maynard, MA 01754. We will investigate and attempt to resolve any complaints or disputes regarding the use or disclosure of your EU or Swiss Personal Data within 45 days of receiving your complaint. If you have an unresolved privacy or data use concern that we have not addressed satisfactorily, please contact our U.S., based third party dispute resolution provider (free of charge) at https://feedback-form.truste.com/watchdog/request . Additionally, with respect to complaints concerning human resources data that is transferred from the EU to the United States, we have agreed to participate in the dispute resolution procedures of the EU Data Protection Authorities. Contact details for the EU data protection authorities can be found at: http://ec.europa.eu/justice/data-protection/bodies/authorities/index_en.htm. 3D Systems will cooperate with the appropriate EU Data Protection Authorities during investigation and resolution of complaints concerning human resources data that is transferred from the EU to the United States brought under Privacy Shield. We commit to cooperate with EU data protection authorities (DPAs) and comply with the advice given by such authorities with regard to human resources data transferred from the EU in the context of the employment relationship. Stratus Technologies also commits to cooperate with the Swiss Federal Data Protection and Information Commissioner and comply with the advice given by the Swiss Federal Data Protection and Information Commissioner with regard to human resources data transferred from Switzerland in the context of the employment relationship. You may have the option to select binding arbitration for the resolution of your complaint under certain circumstances, provided you have taken the following steps: (1) raised your compliant directly with Stratus Technologies, Inc. and provided us the opportunity to resolve the issue; (2) made use of the independent dispute resolution mechanism identified above; and (3) raised the issue through the relevant data protection authority and allowed the US Department of Commerce an opportunity to resolve the complaint at no cost to you. For more information on binding arbitration, see US Department of Commerce’s Privacy Shield Framework: Annex I (Binding Arbitration).